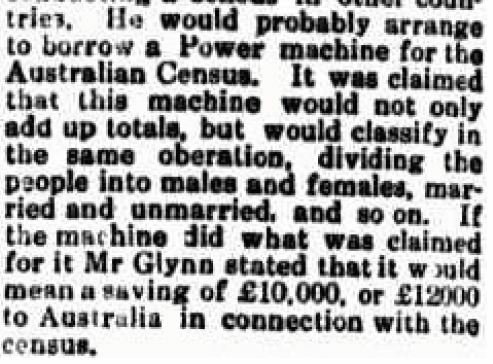 The Minister for Home and Territories , Mr Glynn announced there would be an Australian Census in 1921. The chief statistician Mr Knibbs had left for an international statistical conference in Europe to learn how other countries conducted a Census. He would be looking at borrowing a Power machine to help with the counting. The census was held on April 3, 1921. Thanks to the Hollerith electric machine, an American invention, results were expected in two years! I’m not sure if this is the Power machine Mr Knibbs was investigating, but it seems he did pick up some tips from his trip to Europe. On April 4, 1921, The Argus published an interesting article about how the information for the census was collected. 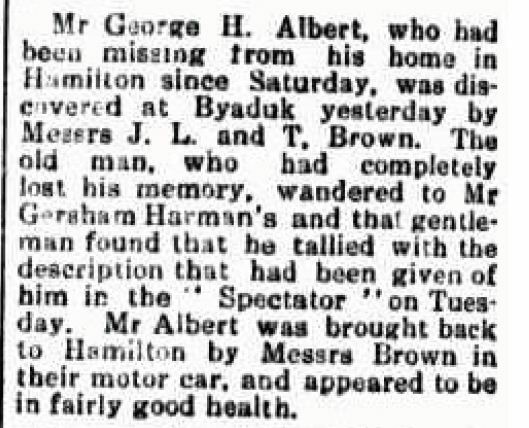 Mr George Albert of Hamilton was found after five days missing. He was located at Byaduk on the property of Gershom Harman, grandson of Joseph Harman. 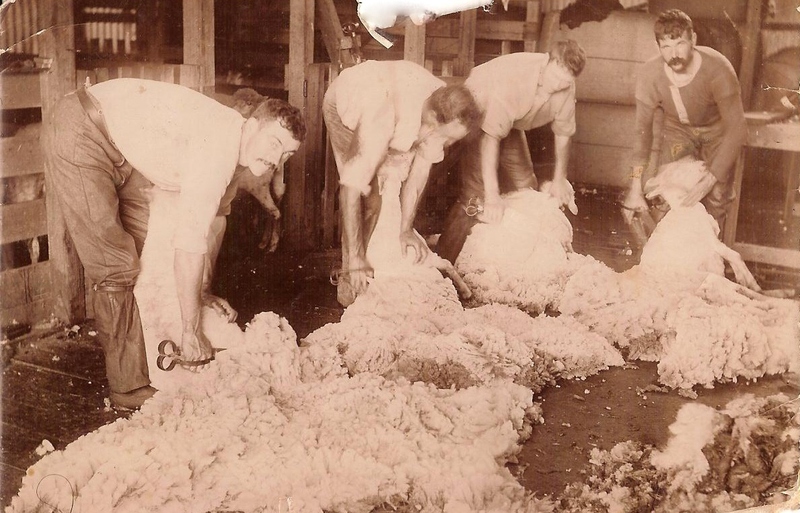 This entry was posted in In The News, Western District History and tagged Byaduk, Harman. Bookmark the permalink.